There's still time to participate in Color Challenge 82! Remember, you don't have to have the EXACT colors to play - just use colors inspired by the ones you see below. This challenge features Cornflower, Blu Raspberry, Coral Crush and Lemon Chiffon. 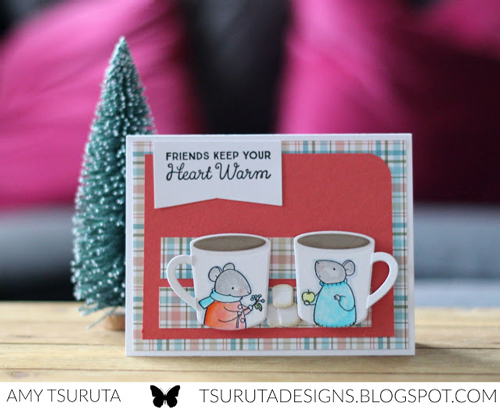 Amy created one-of-a-kind mugs on her card design by stamping her sweet mice images directly on them. All of this week's colors are represented in her plaid background and colored images, for an adorable heartwarming card. Susan created a winter wonderland featuring the cute critters from the Polar Pals Stamp set. The bright colorful images really stand out against her beautiful tone-on-tone background. Be sure to give Color Challenge 82 a go yourself - there's still plenty of time to play along and we always love to see all of the ways you're inspired by the challenge! 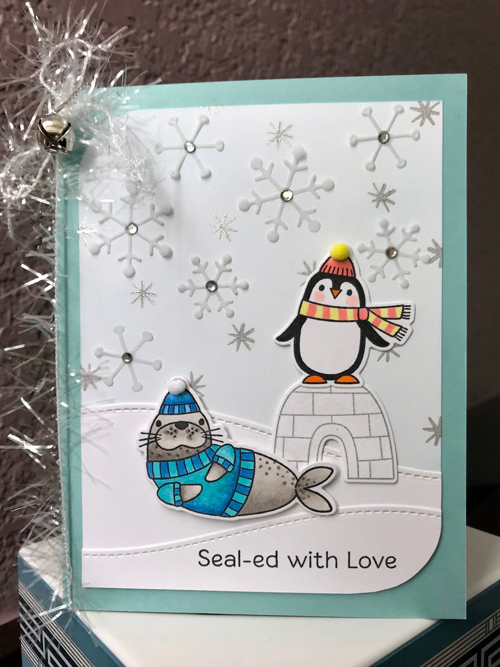 Love the seal-penguin card; lots of texture & cuteness.